If you own and manage your own business, you need to inspire your employees to achieve success. Without the ability to lead your troops into battle, through the thick and the thin, you won’t be revered as a fearless and driven professional. While you can put in the time to accomplish your goals and build rapport with clients, you also need to focus your attention on employee retention. Without a hard-working staff, your business won’t flourish and branding your business will become difficult. It’s important you realize early on that actions often speak louder than words. Congratulating your creative team members can help them feel appreciated, but when you take the time out of your day to show that you actually recognize your employees’ performance, you leave a more long-lasting impression on your entire department. As a business owner, you want to get the best and most from your staff, so engage with them fully. This means you need to humble yourself – take a step down from your pedestal – and speak to each professional on equal grounds. While you have earned your success, and your resume shows that you have worked from entry level to chief executive officer (CEO), you should not lose sight of the help you had on the way. In some cases, all that needs to be done is to reach out to each staff member and learn about their professional goals. The creative professional in your graphics department, like the new hire in editorial, are cogs in your machine. Give them incentive to pull their own weight, and everyone will benefit in the end. Of the 13 countries that took part in WorkatWork’s 2012-2013 Salary Budget Survey, only two nations – Spain and Japan – ranked worse than the United States in projected 2013 salary increases. In fact, the U.S. expects to increase salaries by only 3 percent next year, which puts it well below India’s 10.7 percent projected uptick. If you want a staff that works to the best of its ability and forms loyalty toward your organization, make sure you understand what your employees wish to accomplish in their time under your leadership. When they achieve goals that you’ve put in place, reward them with a salary increase or additional benefits. It’s time to spread a little bit more of the wealth because, in the end, everyone may be a little richer – including you! 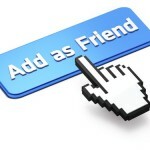 How can you use Facebook to improve your brand equity?